Get in touch with our 24/7 020 3404 0500 or utilize our online contact form here to get a non-binding and totally free estimate for our after builders cleaning service now! Make your residence or company property flawlessly cleaned and safer right after a reconstruction, book our top-class after builders cleaning service right now! The well-set up crew of cleaners will show up at your property and will continue cleaning all the leftover dust particles, paint, debris and adhesive splatters and other builders leftover from the remodelling or re-development work. 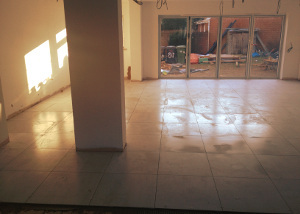 The after builders cleaning team will thoroughly clean every single area, gloss the woodwork, wash the paint and plaster spills from the wall surfaces, ceilings, floors and some other surfaces in your home. All floors can be hoovered and washed. Depending on your needs, all rooms, the kitchen and lavatory will be cleaned as well. On request, they will carry out outdoor window and exterior cleaning. Our professional service will make sure that the fresh air in your real estate is thoroughly clean of the harmful dust, and that it is safer to live in your property once again. Excellent Carpet Cleaning was started in North London BR in 2005, and ever since we have been rising to be a renowned professional cleaning company, which delivers an efficient after builders cleaning service to the folks and firms in the area. We deliver after builders cleaning to our clientele, simply because we are mindful of the mess that is normally left over right after construction task or renovations have been done, and we are prepared with the most advanced, effective and safe pro cleaning devices, solutions and resources to eliminate all dust, debris, fresh paint and plaster specks as well as any other dirt from your house in a matter of a several hours. Our after builders cleaning service is ideal for office and residential cleaning right after a reconstruction or renovation. Getting our professional after builders cleaning service, is effortless - all you must do is get in touch with our 24/7 client help service right away. Dial 020 3404 0500 or send us a web request here. You will then be sent reservation verification via text message and e-mail quickly. We are out there for same day builders clean, or you could book in advance, and select any day of the season. We are available the whole year. All of our services are fully covered with insurance. Unite the cleaning service after builders along with one or more of our various other services, and we will offer you price reductions of up to 15%. The more you request - the bigger the discount. So, make sure your property is safe and ready to be inhabited once again right after a renovation - get our after builders cleaning service right now!